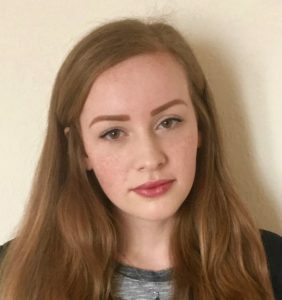 Olivia Evans is a Work Related Learning Assistant, based on the Streatham Campus. 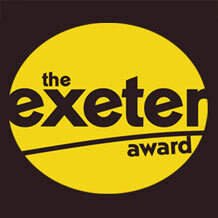 The Exeter Award is an employability achievement award for current undergraduate and taught postgraduate students. It’s for both Exeter and Penryn students and is delivered in partnership with the Students’ Guild and FXU. Completing the Award is a fantastic way to gain new skills and boost your CV at the same time. Find out more as we celebrate Exeter Award Week, 22 – 26 January. The Award will help you transfer skills on paper into the real world and teach you how to really impress employers with a great CV, an impressive job interview, and well-developed soft skills. In fact, students who complete the Exeter Award are more likely to get a graduate-level job within six months of graduating. 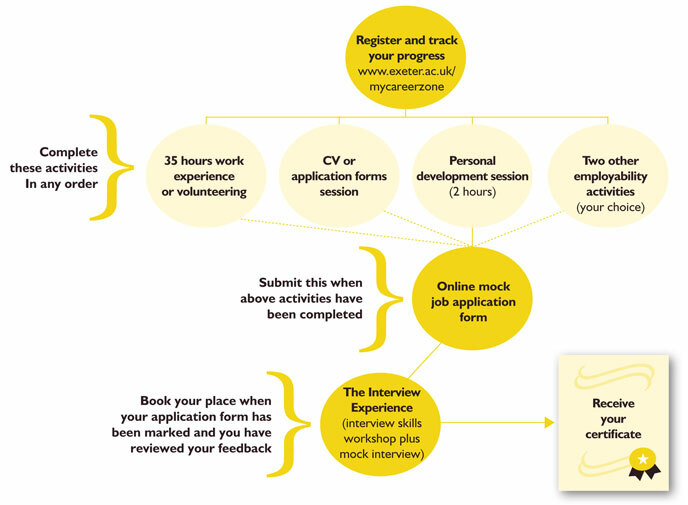 Completing the Exeter Award doesn’t just make you more employable though. Many of the skills you will learn can help with your University studies. Our Personal Development sessions can teach you how to better manage your time and stress, how to work productively in a team and how to create and deliver an effective presentation. Learning how to write a strong CV/covering letter and give a good interview could be key to you gaining an internship, work placement or year abroad during your time at University. Monday– We’ll be in the Forum all day, so come and win prizes playing our Exeter Award Game and speak to the team to find out more about the Award and its benefits for you. Tuesday and Thursday (PM): Our International Internship Ambassadors will be there to have a chat and answer all of your questions about International Internships. Tuesday (10am-12:30pm) and Thursday (12:30pm-1:30pm): Doughnuts and Sign-Ups! If you’re interested in taking part in the Exeter Award, come to the Career Zone and when you sign up you’ll get a free doughnut too! Wednesday: The Exeter Award and Enterprise teams will be holding drop-ins in the Career Zone all morning, so come and chat to them about Student Start-Ups and the Exeter Award. Wednesday: Our Grand Challenges Team will be in the Forum all day to answer any of your questions about Grand Challenges this summer. You can also find out how you can complete your Exeter Award and prepare for Grand Challenges at the same time. Friday: If you’re already taking part in the Award, our Careers advisors will be in the Career Zone all day to give you help and guidance on your mock application form, to help you perfect your job application skills. 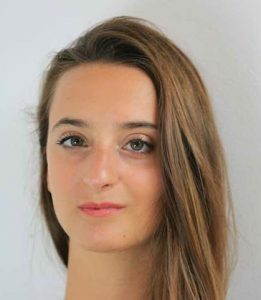 Tuesday (10am-12pm) – Antonia Coppen will be holding drop-ins all morning in the Career Zone for anybody who has questions about starting or progressing with the Exeter Award, or just wants to find out more about it. All Week: the Career Zone team will be at the Exchange and the Hubs all week, which is great for anybody who wants an informal chat or just has some questions about the Award and how it can benefit you. Current Exeter students Bianka Weber (BA History and Politics) and Sofia Marmorini (BA English and Drama) told us why completing the Exeter Award should be top of your New Year’s resolutions. Bianka When I began the Exeter Award, I didn’t know much about it, and didn’t realise how much I could learn from the sessions provided by the Career Zone. However, as I attended session after session, I realised how beneficial they were. Not only did I improve my CV, build a great LinkedIn profile and learn how to write effective job applications, I also made new friends and met like-minded and inspiring people. I learned how to network and negotiate with people and how to positively influence them. Completing the Exeter Award gave me great employability skills and when participating in interviews for summer internships, I was asked about the Award several times. Interviewers were always impressed by the fact that I took the time – during my studies – to take on extracurricular activities and develop the skills they required. Last year I was asked to become an Exeter Award Ambassador, and I took on this responsibility with great joy as I find happiness in encouraging students to do something profitable for their careers. I hope others will follow my example and gain as much from the Exeter Award as I have. Sofia The Exeter Award, in an increasingly competitive field, is a certificate that can really help your job application set you apart from other candidates. Independently of what you study you can take courses to increase your employability. Because the classes don’t belong to a particular subject, you meet students that are proactive, have a will to learn, and improve in areas that aren’t exclusively linked their academic subject. It’s therefore a nice way to make friends that branch out of your usual routines. 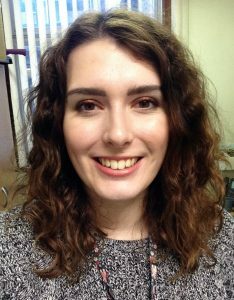 I’m an international student and I study English and Drama, a subject that doesn’t really address job applications and CVs until the third year (as most subjects at the university do). Through Exeter Award classes, I was able to build a CV in a correct format that helped me apply for things such as summer jobs. The Award offers skill-sessions that are targeted at improving your performance outside of the strict academic sphere. However, the extra classes I took in Creative Writing to help my studies also contributed to my Exeter Award, so I benefited twice. Essentially, the Exeter Award pushes you to improve in the areas you decide to pursue, which is exactly what employers want to see you’re doing. 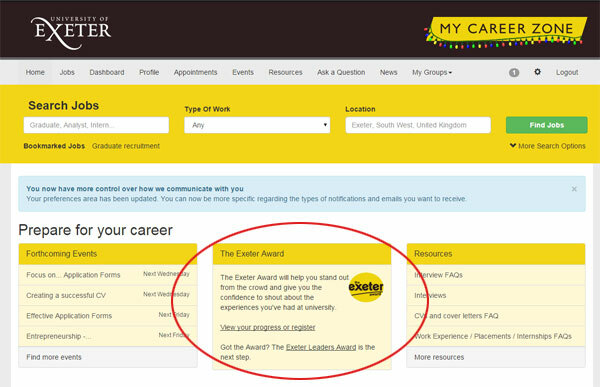 For more information about the Exeter Award visit www.exeter.ac.uk/exeteraward or ask a question through My Career Zone. What is korfball? Answering this question has become all too much the norm for me. Integrating the freedom of basketball and discipline of netball has created this great game of korfball. 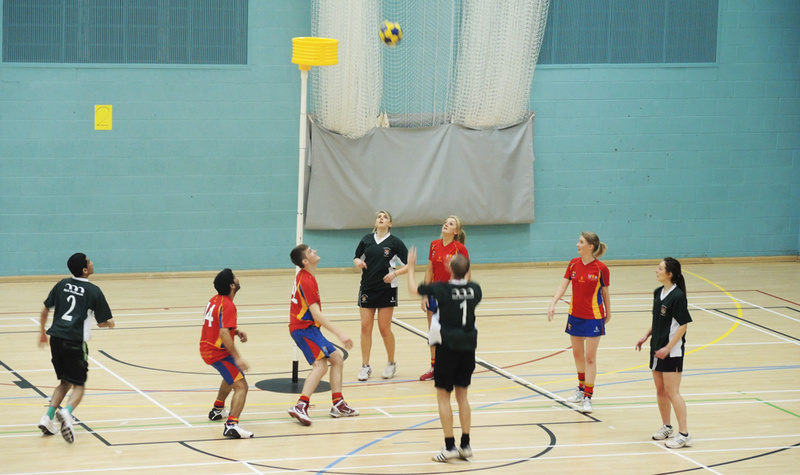 Unlike any other university sport, korfball provides a unique experience of mixed gender team work, resulting in a very sociable experience. 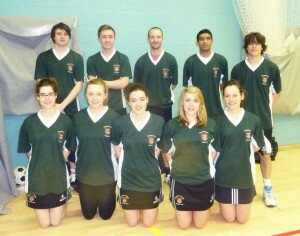 Each team consists of 8 players; 4 boys and 4 girls whereby the aim is to simply get the ball into the basket (a korf). A court is split in two, consisting of a defending and attacking zone. After two goals you switch ends. This provides everyone with a chance to enhance both their attacking and defending skills creating an all rounded player. I discovered korfball as I wandered around campus during my Fresher’s week, with the imposing sight of the basket luring me in. The taster sessions soon followed and the enthusiasm of the relatively small group was infectious –as a first year it was easy to feel lost within this vast campus, and sport provided me with the perfect opportunity to find my feet and meet some great people along the way –and as they say, the rest is history. Circus themed socials, road trips to tournaments across the country and frequent trips to the RAM made for a fantastic year. Sport is brilliant in bringing out the best of you; showcasing talents which most people don’t know they have within them. To be vocal and to coach 50 young adults are two things I would not have thought I would be able to demonstrate, until I was put into this position. Striking a balance in a team with various levels of ability and motivation, as well as finding a way of bringing everyone’s unique skill sets together, is challenging but ultimately very rewarding. Simply as a member of the club and representing the university on a regular basis, has led to a greater appreciation of professionalism and integrity. 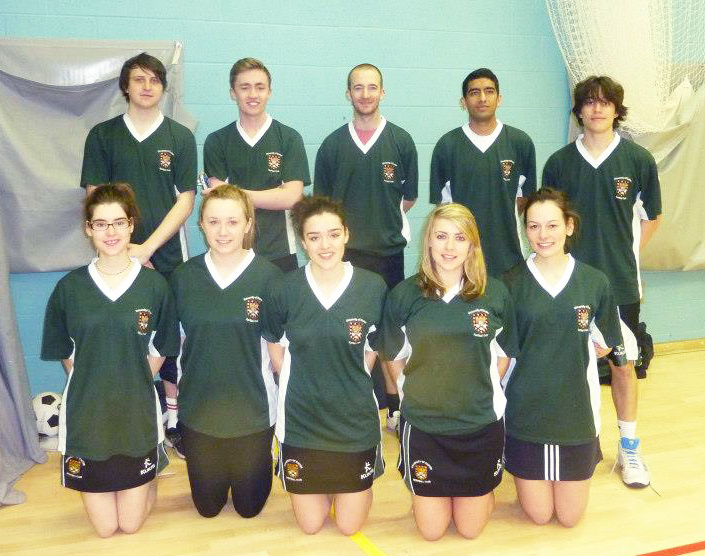 This showcases the link between sport and becoming more employable, with both expanding and fine-tuning your skill set. While the skills demanded on the court differ to those put in practice in an office, the personal development is something that cannot be understated. Progressing from 2nd team to 1st team to now filling the shoes of the coach, it is evident that adapting to different roles is important and exemplifies how korfball and employability can be linked. Check out the vast range of sports and societies that are available to take part in over on the Students’ Guild website.